Medical Herbalism is the scientific study of the medicinal properties of plants in addition to the traditional and folk medicine uses and the application in regards to healthcare. How Is That Different From An Herbalist? Herbalism in the United States is still considered "People's Medicine," which means that, since it has such a long history of being used as folk medicine, there is currently no degree or certification required to legally be able to call yourself an herbalist or practice as such. A qualified Medical Herbalist has a degree or certification in the field of medical herbalism from an accredited school or university. In addition to becoming well-versed in the traditional herbal preparations and uses for herbs, Medical Herbalists also spend a lot of time studying the chemical compounds that are responsible for their healing properties, human anatomy and physiology, pathology, and how traditional methods can work with modern diseases, illnesses, and imbalances, and pharmacology (drugs), and how herbs affect prescription and over-the-counter medications. All these things together are very important for intelligently, safely, and effectively working with natural "alternative" healthcare in the world of modern medicine and illnesses. YOU SHOULD KNOW: No variety of herbalist, medical or otherwise, diagnoses or "treats" specific diseases or illnesses. This is because of FDA regulations and because we are not doctors (unless otherwise licensed). Additionally, your herbalist, or any other natural healthcare practitioner, should never tell you to just quit taking your prescription medications. Regardless of their feelings on the matter, such a recommendation is both unwise and illegal. Talking with you about your options, working with you, and suggesting that you talk with your doctor about stepping off your medications (if that's what YOU want to do) is a different story. What Qualifies Me As A "Master Herbalist?" A bunch of extra education does! When I went to school for Medical Herbalism, I had the option of going the extra mile to obtain the title of "Master Herbalist." It added a lot to my workload and to my tuition, but I chose to do so. This extra education included more in-depth anatomy, physiology, pathology, pharmacology and organic chemistry training and testing, as well as several classes on how to cultivate, grow, harvest, dry and prepare my own herbs. Additionally, during my final exams, I had additional more complex herbal medicinal preparations I was required to make, which were tested with all sorts of fancy high-tech machines by the schools research department. Herbs are powerful medicine, and should be treated with respect. Before you start an herbal regimen, it's important to talk to a medical herbalist or equally qualified practitioner about how much of what herbs are appropriate to address your concerns. Another reason to consult with a medical herbalist is if you don't know what herbs you want or need, but want to give herbal medicine a try. Click HERE to learn more and to schedule your wellness consultation, either in person or over the phone or skype! 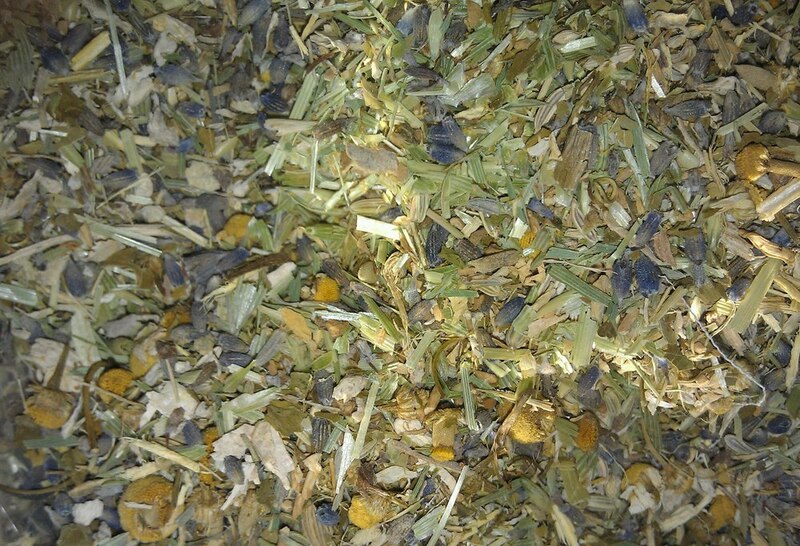 In addition to providing consultations and other services, I also make all my own line of herbal teas! Click HERE to be taken to my Tea Company website.